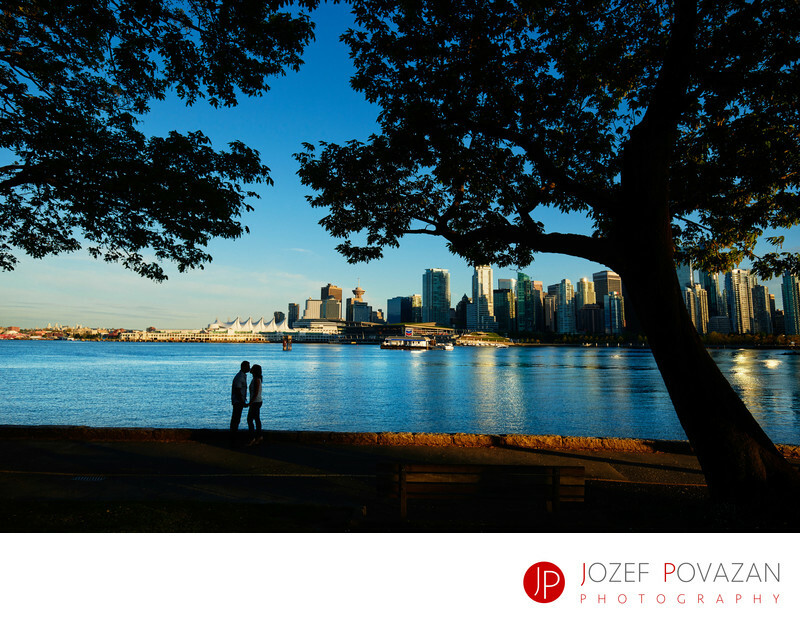 Vancouver Wedding Photographer top engagement locations - Best Vancouver wedding photographer Jozef Povazan Photography studio. Vancouver Wedding Photographer top engagement locations are places like Stanley Park or Lighthouse park. This silhouette of bride and groom is stunning pic captured by Jozef Povazan Photography. Award winning modern wedding portraiture and studio portraits of highest quality and creativity you can find.